A RUP LIFE: A CRICUT CRAFTING POST! Octonauts Birthday Banner!!! A CRICUT CRAFTING POST! 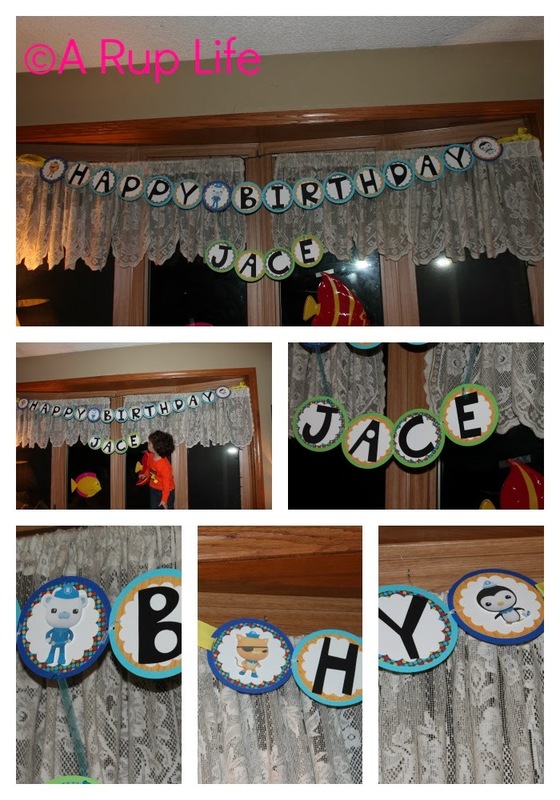 Octonauts Birthday Banner!!! I used Mini Monograms for all the circles and Cuttin' Up for the font. I tied the circles together with ribbon to allow for movement. For the octonauts I just printed and cut them out. It is really hard to see but I used dimensionals on all the white scallops to add some depth. I am no cake artist at all! I ordered the middle design from ebay - and it is printed on edible icing paper with edible inks. Then I made a 2 layer half sheet cake. Homemade icing (maybe I'll share my recipe someday...) and I just added the blue around for something extra. Please leave a comment if this inspired you!! I just wanted to let you know that I sent you an email regarding the Crew. I didn't want you to miss it or have it land in your spam folder. If you did not receive it, please do shoot me an email and I will send it out again.